Your mouth is your lifeline. Good oral hygiene is important, and for some people, even brushing and flossing twice daily is not enough to stave off gum disease. According to the National Institutes of Health (NIH), gingivitis and periodontitis are the two main categories of gum disease. Both are caused by tartar, a hardened form of plaque that only dentists can remove. 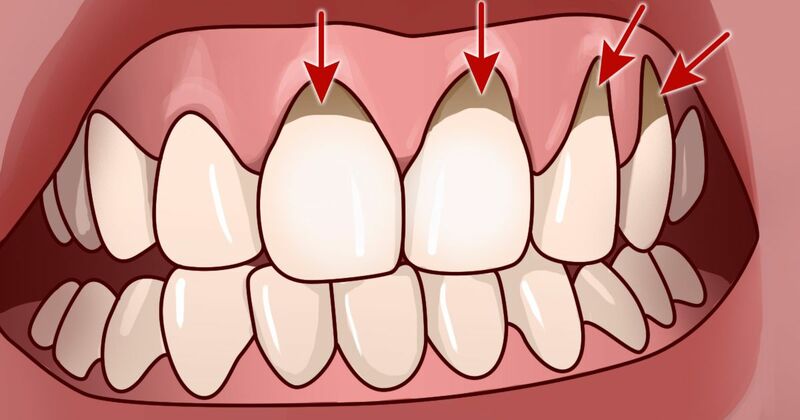 Gingivitis is an earlier stage of periodontitis, which, if left untreated, can deteriorate bone, gum and connective tissue. If your dentist has given you the talk about inflamed gums, you'll want to know these 10 home remedies to help alleviate gum disease. 1. Saltwater and peroxide. Dissolve a large amount of salt into warm water along with a touch of peroxide. Whole New Mom recommends using a syringe to spray the affected gums with the solution. This is called "irrigating the gums." If you do not have a syringe, swish and spit. 2. Oil pulling. This trendy treatment is supposed to "pull" toxins from the mouth. Natural Society suggests using organic sesame, olive or coconut oil. Swish the oil in your mouth for 20 minutes first thing in the morning before brushing for best results. 3. Sage. Natural Society recommends boiling 50 fresh organic sage leaves in water and gargling the cooled mouthwash several times throughout the day. As an alternative, drink sage tea. Sage is an anti-inflammatory, antioxidant and antimicrobial. 4. Garlic and turmeric. Mix a mashed garlic clove with turmeric powder to form a potent anti-inflammatory and anti-bacterial combination. Natural Society says to brush your teeth with this paste the same way you brush using store-bought minty toothpaste. 5. Tea tree oil. Tea tree oil is reputed to be an effective anti-inflammatory. Style Craze recommends adding a few drops to your regular toothpaste when you brush twice daily. 6. Clove oil. Tea tree isn't the only essential oil that improves gum health. Style Craze says dabbing infected gums with a cotton ball treated with clove oil can soothe pain. 7. Lemon. This sour citrus fruit is a strong anti-inflammatory. According to Style Craze, applying a mixture of lemon juice and salt to your teeth can do wonders for your gums. Let the salty lemon juice soak into the teeth for a few minutes before rinsing with warm water. 8. Chamomile. If you aren't a big fan of mint, you'll love this replacement for Listerine. Follow the advice of Style Craze, and rinse with cooled chamomile tea for healthy gums. 9. Aloe vera. Going to bed with pure aloe vera — not the neon green goo on your gums can make an immense difference. Style Craze says you also can drink two tablespoons aloe vera juice twice daily, or use aloe vera juice as a mouthwash. 10. Cranberry juice. According to Style Craze, cranberry juice helps prevent bacteria from sticking to your teeth. In addition to eating a diet rich in fruits and vegetables, try drinking three ounces of cranberry juice for the best results. Be careful to only drink unsweetened cranberry juice; other varieties can contain astonishing amounts of sugar. How have these home remedies helped your gum disease? Tell us your success stories when you share this article on social media! Fresh or dried, cranberries are a true superfood. Sometimes, lowering cholesterol is just a matter of changing what you do and how you eat. Knowing the sources of good and bad fats and how they work together can mean the difference between taking medication or controlling your cholesterol yourself.